This is a surprising little salad that I became addicted to during my last semester at George Mason University in Fairfax , Va. I found it at an Indian restaurant on campus, Indaroma, that also makes the most delicious curries — their butter chicken was another addiction of mine. 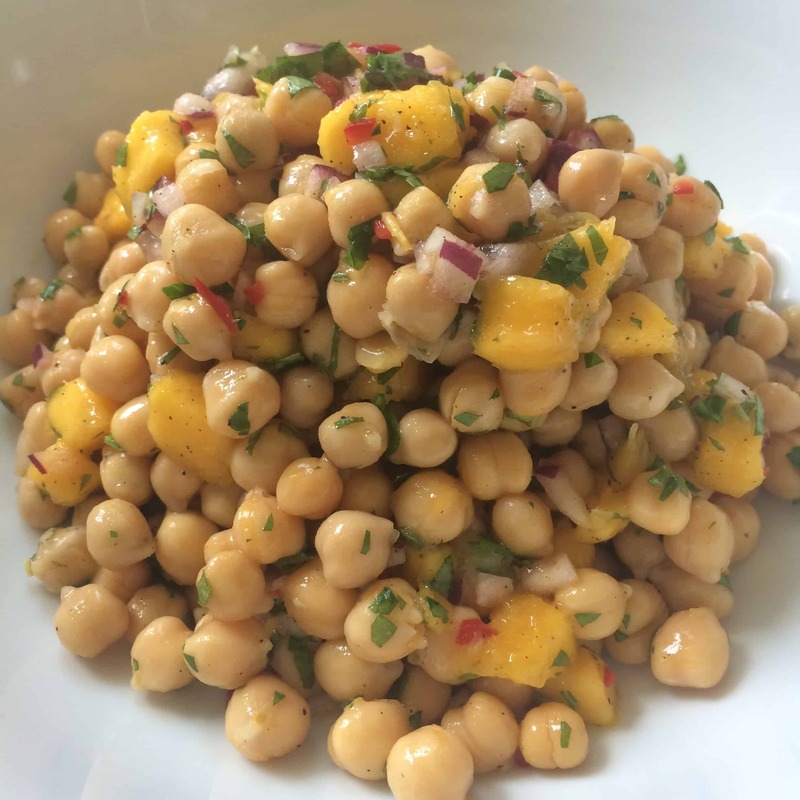 This Chickpea and Mango Salad is light and fresh, tart, spicy, sweet and herby. Really satisfying. I picked this salad up one night because I wanted something filling, (how embarrassing is it when your stomach growls really loud in the middle of class? ), but not something that would make me so full I’d need a nap. I’m so glad I tried it. It really is filling and satisfying from the chickpeas, and it’s packed with flavor — tart from the lime, spicy from the chili pepper, and sweet from the mango. I spent plenty of time eating it, so I think I’ve done a pretty good job recreating it. The mint was my addition; I just thought it would be good. I also think some finely diced cucumber would be nice… maybe next time. It’s a perfect summertime salad, and would go great with pretty much anything grilled, but especially seafood or chicken. Combine all ingredients in a bowl and toss to combine. Serve right away or cover and store in the fridge. It will just get better as it sits.